Mount Pleasant, SC – Children’s Discovery Center, a local childcare center with two locations in Mount Pleasant, received three new awards in 2016. The center was named “Mom’s Choice for Best Pre-School” by Lowcountry Parent and “Charleston’s Choice for Best Daycare” by The Post and Courier. 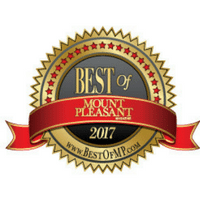 Most recently, the center received the “Best Child Care” designation by Mount Pleasant Magazine’s Best of Mount Pleasant Awards. One year after Children’s Discovery Center opened its doors at the corner of Venning Road and Highway 17, it was named the 2014 “Mom’s Choice for Best Daycare” by Lowcountry Parent and quickly started a waiting list due to high demand from local families. As demand for the center’s childcare program grew, a second location was built to serve the Park West neighborhood and surrounding communities in northern Mount Pleasant.